Between Monday, 28 August and Friday, 01 September 2017 29 participants of public and non-for profit institutions working in the field of pricing and reimbursement of medicines of 19 different countries attended the Second Summer School on Pharmaceutical Pricing and Reimbursement Policiesin Vienna. 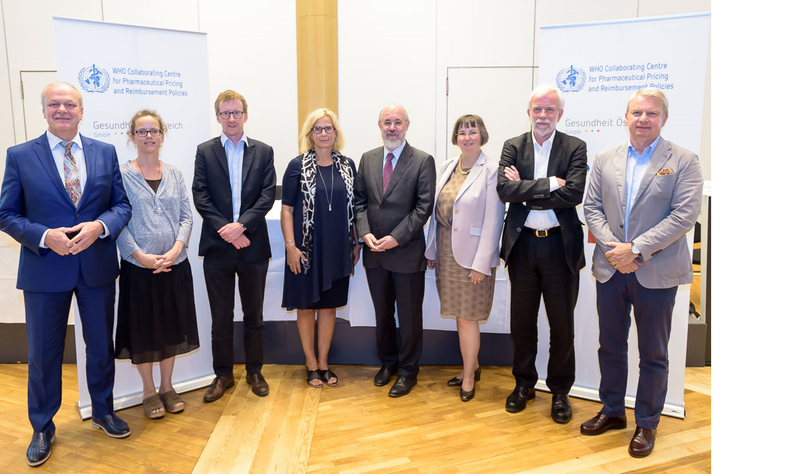 The WHO Collaborating Centre for Pharmaceutical Pricing and Reimbursement Policies at the Austrian Public Health Institute (Gesundheit Österreich Gmbh) and the World Health Organization (WHO), Regional Office for Europe organised the five-day training course. Representatives the Medicines Patent Pool, LBI and of the organising institutions provided information on pharmaceutical policies, focussed on pricing and reimbursement of medicines, medicine price surveys, policies for high-priced medicines and generics, Horizon Scanning, HTA, patents and international collaboration. The summer school provided lectures, hands-on training, case studies and poster sessions on the main topics. Furthermore study visits to relevant institutions in Vienna were offered. 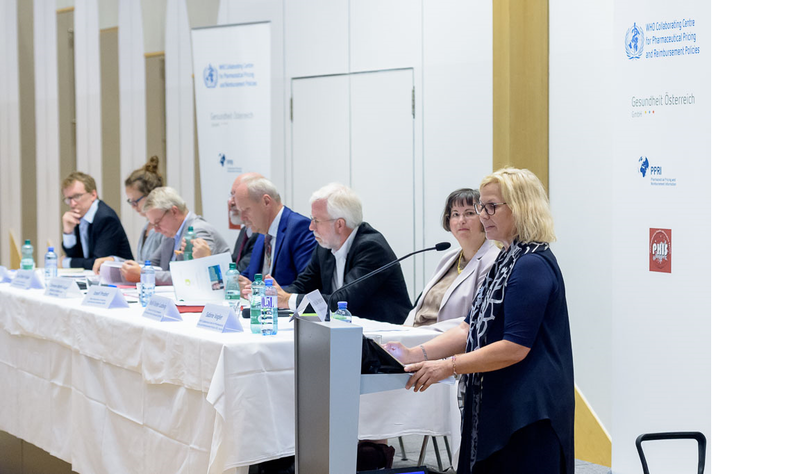 On Wednesday 30 August 2017 a public panel discussion titled “Strengthening the purchasing power for medicines – possibilities and risks” was organised, which received high interest by Austrian stakeholders. Panellists were Clemens Auer, Austrian Federal Ministry of Health and Women’s Affairs (BMGF); Esteban Burrone, Medicines Patent Pool, Switzerland; Christina Cepuch, Médecins Sans Frontières (Doctors Without Borders); Jan Oliver Huber, Association of the Austrian Pharmaceutical Industry (Pharmig); Wolf-Dieter Ludwig, Chairman of the Drug Commission of the German Medical Association (DCGMA); Josef Probst, Main Association of Austrian Social Security Institutions (HVB); and Dr Sabine Vogler, Head of WHO Collaborating Centre for Pharmaceutical Pricing and Reimbursement Policies at the Austrian Public Health Institute (GÖG). The panel discussion was chaired by Hanne Bak Pedersen, WHO Regional Office for Europe.